Founded to provide a platform in which education, networking, and outreach are available to all who work in the traditional building trades, Preservation Trades Network empowers skilled workers in the field through its educational resources and programs that encourage collaboration and exchange. The first "gathering of trades" was held in 1997 and proved to fill a gap within the preservation industry, quickly becoming an asset in valued communication across all disciplines for the betterment of individuals and the field as a whole. PTN regularly hosts events, trainings, and networking sessions all over the country, and even branch out internationally. These programs teach new techniques along with offering a chance for masters of the trades to pass their skills and knowledge on to the next generation. For a list of their upcoming events and to find one near you, please visit their website. As an open-to-all membership non-profit organization, PTN is comprised of not only practicing tradespeople, such as architects, conservators, and engineers, but also interested home owners, students, and general members of the public. Levels of membership can be found on their website. Preservation Trades Network's blog also provides another outlet to keep involved and updated on the organization's resources, educational articles, and training opportunities. If you would like to be added to the mailing list for upcoming events, please email your request to John Stahl. 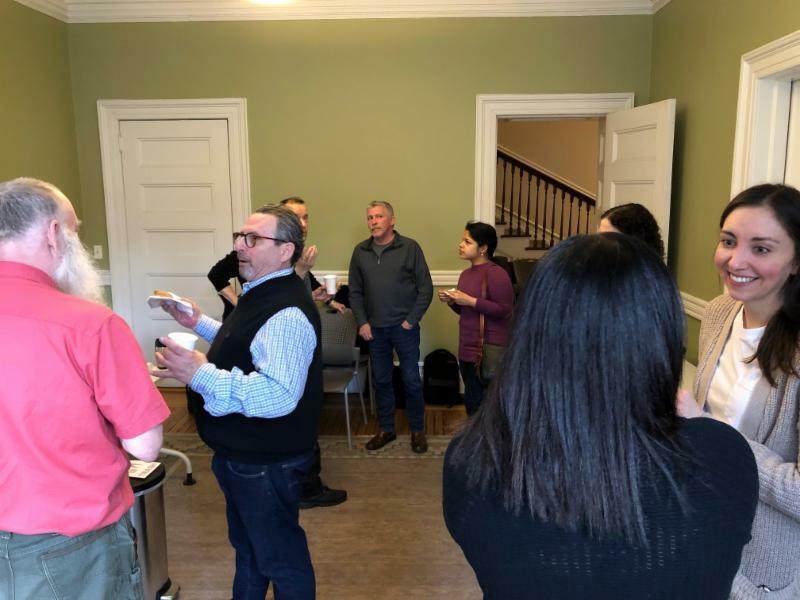 Since 2000, Preservation Trades Network has been one of the organizations that use the Neighborhood Preservation Center's meeting rooms, most recently for their "bagels and coffee" networking events in NYC. For a full list of our meeting room organizations, please visit our website.